Reproductive hormones manage many of our bodies processes and sometimes that’s a good thing, other times it’s not. Hormones are in charge of feelings of happiness, health, and our level of energy as opposed to feeling down, unhealthy, and fatigued. Hormones work as chemical messengers that transport via the endocrine glands and into our bloodstream with the purpose to reaching specific organs and tissues where they release their effects. The principal organs and cells that produce reproductive hormones are our brain, fat cells, ovaries, adrenal glands, and testes. The primary reproductive hormones are estrogen, DHEA, progesterone, and testosterone. Females also generate hormones that assist with regulating the reproductive hormones like, follicle stimulating hormones and luteinizing. Having hormonal imbalances can be caused by genetic influence, illness, poor diet, stress, environmental factors, and environmental factors. 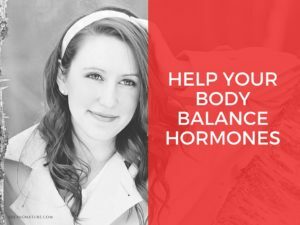 Balancing your hormones can be a challenging act, but if you’re careful and consistent, it can be done. Our Hormone Imbalance Juice recipe contains raw ingredients that will help level out your hormone imbalance and even improve your fertility. Kale & Cabbage: In the family of cruciferous vegetables are Kale and Cabbage, which contain DIM, a compound that helps detoxify any harmful estrogens in your body. It helps increase your level of healthy estrogen and prevent occurrences of various cancers. Calcium d Glucarate is the main compound that has proven to be excellent in aiding excretion of metabolized estrogens in addition to other carcinogens in your body. Spinach: At the top of the list of ingredients that help hormonal balances is spinach. Raw spinach contains a high level of magnesium which is an essential mineral that is needed for more than a hundred enzymatic processes, and among them is hormone synthesis. Turmeric: The benefits of using turmeric in your foods is due to its pharmacological properties. Turmeric is an antioxidant, anti-inflammatory, antimicrobial, and anti-cancer spice. Volatile oil and curcuminoids are the constituents that empower turmeric and make it a therapeutic and medicinal ingredient. Ginger: The anti-cramping and pain relieving compounds found in ginger can actually reduce pain while it works towards regulating a woman’s menstrual cycle. If you’re experiencing irregular periods, adding ginger to your juices will help reverse the imbalance that’s causing the irregularity. Pineapple: Not only will pineapple work as a refreshing and sweet ingredient in your juice, but it contains nutrients that are crucial in managing your hormone levels. The vitamin B6, calcium, vitamin E, and magnesium content in pineapple all help balance your hormones. Oranges: It’s no secret that oranges are a traditional source of vitamin C, and since the levels are higher than other citrus fruits, we chose it for this recipe. Besides helping your skin, oranges stop the free radicals that promote hyper-aging on your body. By doing so, oranges help balance your hormone levels and keep your body working at its best. Directions: Put all of the ingredients in your juicer, then stir and serve. Happy juicing!